Yosemite Creek Campground, in Yosemite National Park along the Tioga Road, offers camping facilities that provide convenient amenities along with some amazing scenery and exciting outdoor recreation opportunities. FIRST COME, FIRST SERVED. Yosemite Creek is west of Tuolumne Meadows in Yosemite National Park, and is open from July to early September. There are many activities you can enjoy right from this spot, such as hiking, rock climbing and much more. Each campsite has a picnic table and a fire pit. Pets are permitted. Yosemite Creek Campground CA can be reached by taking Highway 140 to Big Oak Flat Road. Turn left and drive for approximately 9.5 miles to the Tioga Road, turning right. Soon you will see the access road turnoff for the campground and it’s another 5 miles down this road. No need for reservations. Yosemite Creek Campground California is a first-come, first-served campground. Is there a dump station? The closest ones are in the Upper Pines Campground in Yosemite Valley and at the Tuolumne Meadows Campground about 30 minutes away. 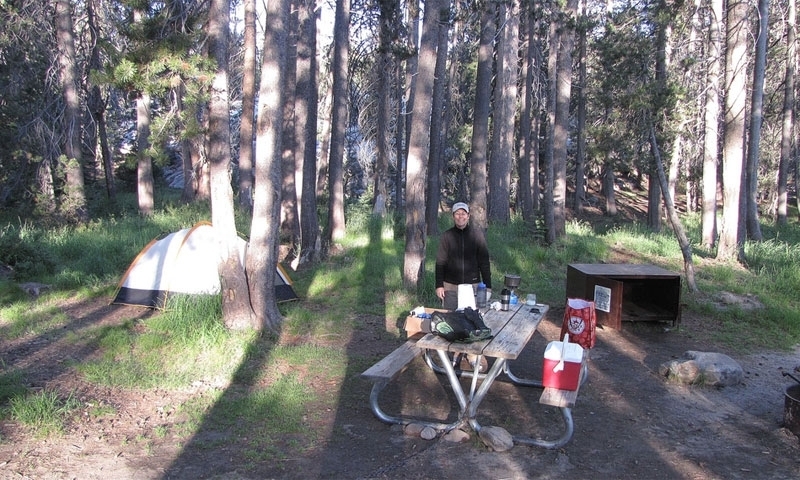 Yosemite Creek camping puts you virtually in the middle of all the fun in Yosemite. Besides fishing on Yosemite Creek and hiking the Yosemite Creek Trail, you can see some marvelous sights nearby. This is a wonderful viewpoint where you can enjoy views of Half Dome and beautiful Yosemite Valley. Stop here and relax and marvel at the vistas of this great park. A bit further east, you will find this beautiful lake, with granite cliffs surrounding. There are a number of hiking trails in the area that will take you into Yosemite’s backcountry. Outdoor enthusiasts love coming to Tuolumne Meadows, as it provides access to a number of hiking trails (John Muir Trail is one of them) and is in close proximity to challenging rock climbing. Head southeast and you will soon come to Yosemite Valley, the hub of the park. From here you can hike through the valley and to higher elevations.